Earlier in 2013, Max Life Insurance i-genius had launched a nationwide hunt for young writers through its progamme, i-genius Young Author’s Hunt. Authors Ruskin Bond and Chetan Bhagat along with the editorial team at Rupa Publications India shortlisted the top 50 stories from 5,000 plus entries received from across India. The collection of these stories formed the book ‘i-genius – A Twist in the Tale’. Ten stories were aired in a story telling format on 92.7 Big FM on ‘Chote Geniuses Ki Kahaniyan with Neelesh Misra’. The programme was aired in Mumbai, Delhi, Chandigarh, Kolkata, Chennai and Bangalore in local languages. The RJ’s in these cities also interacted with the writers of the stories, during each episode of the show. Golden Mikes celebrate the very best of radio advertising on stations across India and acknowledge the contribution of advertising agencies, media agencies, clients, radio stations, production houses and others to the growth of the medium in the country. These awards seek to recognize the best and benchmark work on radio. Max Life Insurance, one of the leading life insurers, is a joint venture between Max India Ltd. and Mitsui Sumitomo Insurance Co. Ltd. Max India is a leading Indian multi-business corporate, while Mitsui Sumitomo Insurance is a member of MS&AD Insurance Group, which is amongst the top general insurers in the world. 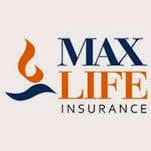 Max Life Insurance offers comprehensive life insurance and retirement solutions for long-term savings and protection... It has a country-wide diversified distribution model, including the country's leading agent advisors, exclusive corporate agency arrangements with Axis Bank and several other partners. Max Life Insurance is a quality business, focused on delivering excellence to customers through advice-based sale process, customer-centric approach to business, financial stability and investment expertise, and strong human capital.